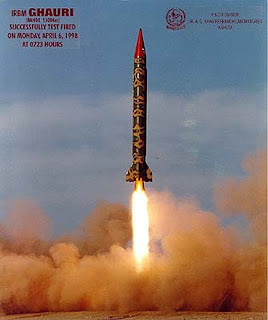 A large number of countries including India and America always had doubt over the safety of Pakistan’s nuclear arsenal. Time to time countries expressed fears on nuclear weapons falling in the wrong hands like some terrorist organization or in the hands of extremists within the government. With the increase in the standards of attacks by the terrorists, it is clear that they have now more professional fighters than before. The kind of attack in Mumbai and now in Karachi Naval Air Base, shows that these terrorists now have capability of attacking even highly secured places. After the Karachi Attack, concerns are growing in India and in western world about the safety of Pakistan’s nuclear arsenals. Pakistan has been building more and more nuclear weapons when India has paused and rest of the world is decreasing its stockpile. At this situation it is difficult to understand why Pakistan has been pouring money on its nuclear program when it doesn’t have money to feed and to save its own people from extremists. What will happen if Nuclear Weapons fall in Wrong Hands? This is the question rising in many minds. Pakistan’s nuclear program is due to two reason, one is that to overcome the inferiority to India in conventional war and another is that to be a Islamic nuclear state. Generally in war nuclear weapons are used at last or when there is no other option remaining. Pakistan at this wont wait for this condition to come and will launch much before or may be at the beginning itself. If nuclear material falls into wrong hands then these extremists can make a small bomb and smuggle into India for detonating. And if extremists get the control of nuclear bomb in the worst case scenario, then they can point it towards Israel and India. There are elements within the government of Pakistan who don’t run on any order or ideology but on the feeling of revenge and religion. At this it becomes very necessary to help the civilian government which formed in the country after many years of military rule, in protecting the nuclear arsenals. It is believed that US, Israel and some western nations have been planning to dismantle Pakistani nuclear program but nothing has been confirmed till now and Pakistan enjoys no discrimination in continuing its nuclear program unlike Iran. It is true that Pakistan didn’t receive nuclear deals from US and other countries other than China unlike India which has bagged nuclear deals with more than 12 countries. India and Pakistan both are non signatory of NPT, but India has been put on special status which allows it to trade technologies and materials vital for nuclear program. This special status was given to India for its excellent proliferation record and its excellent focus on economy development and building.